I have an existential map. It has 'You are here' written all over it. Some people are afraid of heights. Not me, I'm afraid of widths. I almost had a pyschic girlfriend, but she left me before we met. I bought some batteries but they weren't included, so I had to buy them again. I cried because I had no shoes, 'till I met a man who had no feet. So I said, 'You got any shoes you're not using'? Curiousity killed the cat, but for a while I was a suspect. I went into a restaurant and the sign said 'Breakfast anytime," so I ordered french toast during the Renaissance. I hate it when my leg falls sleep in the middle of the day, because that means it'll be up all night. I installed a skylight in my apartment yesterday. The people who live above me are furious. I used to work in a fire hydrant factory. You couldn't part anywhere near the place. Last night I was playing poker with Tarot cards. I got a full house and four people died. I have a microwave fireplace. I can lay down in front of the fire for the evening in eight minutes. I broke a mirror the other day. I'm supposed to get seven years of bad luck, but my lawyer thinks he can get me five. I liken myself to Henry Ford and the auto industry, I give you 90 percent of what most people need. I replaced the headlights in my car with strobe lights, so it looks like I'm the only one moving. I have a need to make these sorts of connections literal sometimes, and a vehicle often helps to do that. I have a relationship to car culture. It isn't really about loving cars. It's sort of about needing them. 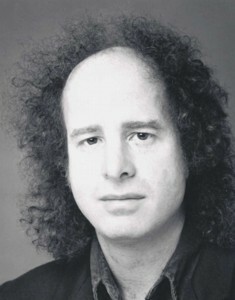 33 quotes by Steven Wright.